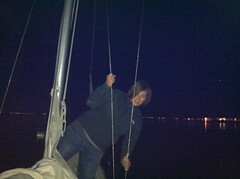 In case you don’t know, my other passion besides libraries is sailing. 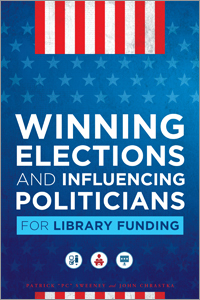 As part of that passion I’ve always wanted to get paid for it like I do for libraries. Isn’t it fantastic to get paid for what you love doing? Anyway, in order to make that happen I need to get my Captain’s license and have a business to do my captaining from. So, about 4 years ago Joey Elle and I put together the beginnings of a non-profit. Unfortunately, life got in the way and I didn’t have access to a lot of the resources I needed to finalize it. Well, it looks like I almost do now! So I started it back up again with some changes thanks in large part to a lot of brainstorming with Andrea Davis. This non-library (but still kinda librarianish) sailing project is being blogged about on its own website but I thought I’d re-post this introductory one here in case anyone is interested in following that blog and our sailing adventures. It’s called the Story Sailboat. Joey is a teacher in East Palo Alto at the 49ers Academy where she teaches seventh and eight grade math and science. For two years before taking her job in EPA she was working as a Peace Corps Volunteer in the country of Lesotho (South Africa) as a primary teacher trainer. She also worked with African Library Project to establish libraries throughout the country. She has her undergraduate degree in molecular genetics and her masters in education. Patrick works for San Mateo County Library and manages the East Palo Alto and Portola Valley Libraries. He has worked in libraries since 2005. 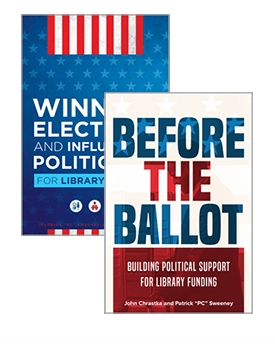 He is also a councilor for the American Library Association, writes a library blog at http://www.pcsweeney.com, and is involved in a far too many library-related projects. He goes by the name pcsweeney online and just about all of his work can be found by Googling that name. He has a masters degree in library and information science and an undergraduate degree in philosophy. He is working towards getting his USCG captain’s license this year. 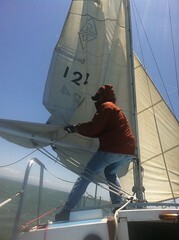 We live on a Columbia 34 named Surprise Me Too in Redwood city that we are rebuilding and preparing for some sailing. While this will probably not be our final boat, we are learning as much as we can about what we need to know about the maintenance and repair of a boat on it. It’s also the cheapest way to live in the Bay Area. We sail a Santana 22 called Sailboat Jerry (named after Patrick’s favorite rum). 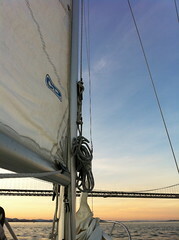 This boat is strong, in great shape, and ready to take us all over the bay area. Patrick purchased it from Spinnaker sailing and it was one of their school fleet of boats meaning it has been well taken care over the years. If you learned to sail from Spinnaker Sailing then you might have sailed our boat! 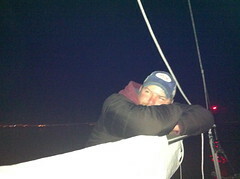 Patrick used to live on Coronado 27 that was called Surprise Me (hence, the naming of the Columbia to Surprise Me Too). That boat took him and his friends on many adventures around the bay and was his first serious bay boat. It was traded for the Columbia because the owner of the Columbia wanted a smaller boat. Before that, Patrick and Jo owned and sailed a string of various small sailing dinghies ranging from Snark (made by Cool) to a wonderfully fun Lido 14. We’ve also sailed a wide range of larger boats all over California. We have a long way to go and many different things we need to do before we are actually ready to set sail for good on this journey. So, this blog is going to be about everything we have to do to get ready to go. We are going to review the boats we are sailing, document the work we put into our boats, the resources we use to get Patrick his Captain’s License, the sailing equipment we learn about, our trial runs at collecting great stories, and also our sailing adventures as they happen. There is so much to do and we’d love to take you on our journey with us so follow us here or on Facebook! Previous PostLibraryLab – Library Boing Boing is up and Running!Next PostThese Kimbel Library Instructional Videos are Filled with AWESOME!